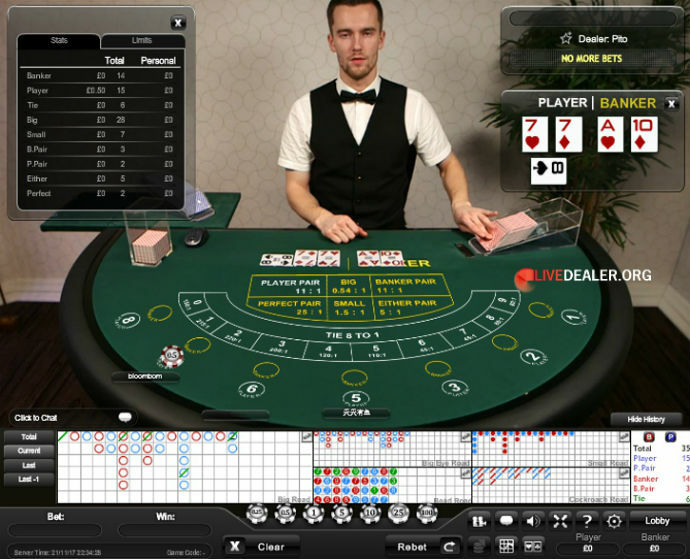 There’s an interesting thread in the live dealer.org forums, tracking developments in Playtech’s new dealer studio; more particularly, new common tables that are being added there. One new addition that will please baccarat players is the appearance of the lucky 8 seat table. It has been in use in the old studio since 2015 (pictured above), and has now migrated to the new studio (below). The table doesn’t have 8 seats. There are 7 seats, just as there are on a traditional baccarat table. Look closely however and you will see that there is no position number ‘4’; in its place sits a position number ‘8’, which is there to appeal to superstitious players. Clearly the 2 players playing the game pictures aren’t believers in the auspicious number 8; rather they are happy to let is stay vacant. 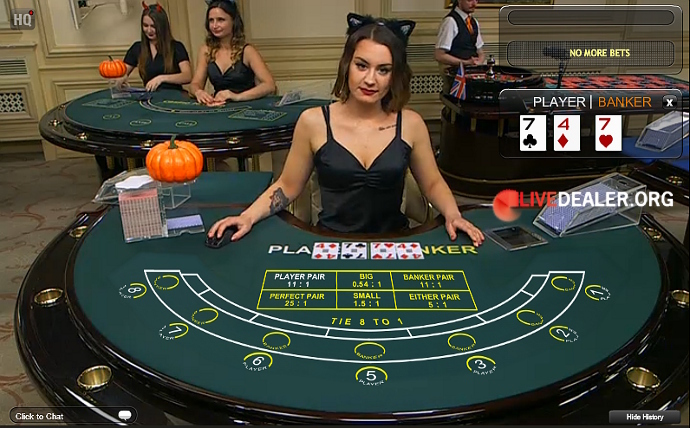 You can play the newly re-located ‘8 seat’ live baccarat table at any Playtech live casino – a a common table they will all offer it.